This Grand Executive home in the upscale and private gated community of Lake Cunningham Estates is ideal for a large family and has room to spare. Featuring six bedrooms and six and a half bathrooms, the large traditional styled home is welcoming and spacious. The main entrance leads into a grand hallway flanked by tall columns and a dual staircase. Enjoy cooking and entertaining in the substantial kitchen featuring wooden cabinets, an island, granite counter tops and stainless steel appliances. There is an expansive living room and family room and a large master suite with a private terrace and a view of Western New Providence and Lake Cunningham. 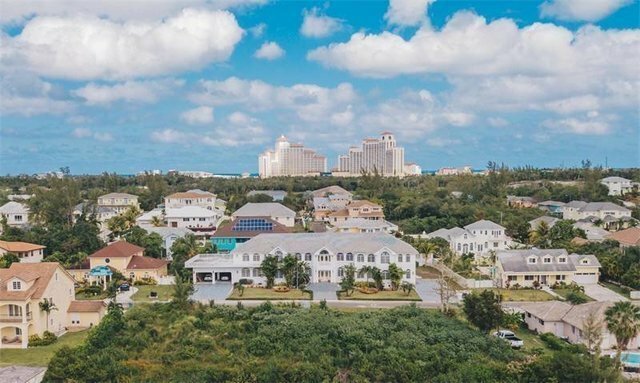 The home sits on almost half an acre in this exclusive community near to Cable Beach and is a stone's throw away from Lake Cunningham, the new Baha Mar Resort, fine restaurants, shopping, hotels, the beach, the new Imax Theatre and the international airport.